In the final documents for the press that have come out of the many recent negotiations between Russia and Israel, a phrase has appeared which is altogether strange from the point of view of Russia’s national interests: “supporting Israel’s security.” This political and diplomatic commitment by Russia raises many questions. The ‘security’ of the ‘state of Israel’ is based on constant acts of aggression against neighboring countries and a policy of state terrorism against the Arab people of Palestine. The security of the state of Israel is the constant shelling of Syrian cities and infrastructure, the illegal blockade of the Gaza Strip, depriving Palestinians of land and water on occupied Palestinian territory, killing Iranian physicists and generals, and killing and kidnapping Palestinians in third countries. All of this is linked to Israel’s illegal occupation of Palestinian and Syrian territories. Russia, by supporting such “security”, is actually supporting Israeli state terror against the Arab people of Palestine and the Israeli aggression against Syria — a state allied with Russia. The main threat to Israel’s security is the state of Israel itself, which continues the policy of occupation, blockading the Gaza Strip, waging real genocide the Arab people of Palestine, all the while engaging in state terrorism and aggression against Syria. For Russia, which has its own national interests in the region – including the restoration of Syria’s state sovereignty, the establishment of a lasting and universal peace in the Middle East, and the creation of an independent Palestinian state – the constant declaration of concern over “the state of Israel’s security” is incomprehensible and is contrary to Russia’s national interests. It nullifies Russia’s successful military and diplomatic policy in the Middle East. 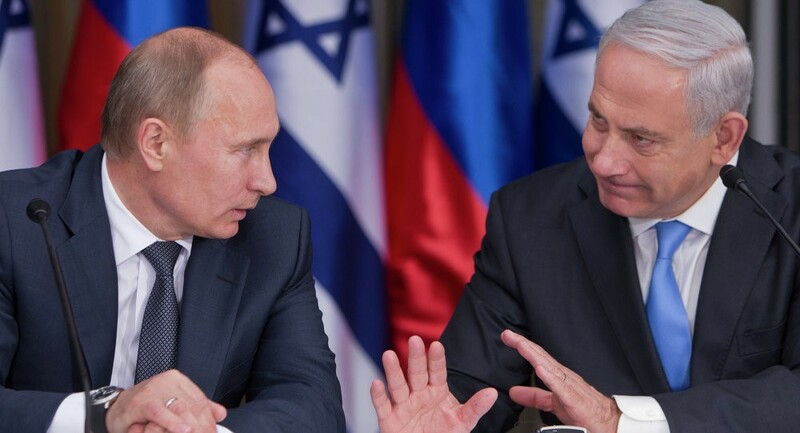 The “security of the state of Israel” is not one of Russia’s national interest priorities in its general state policy, and this thesis should be removed from the diplomatic agenda of the endless negotiations between Russia and Israel. This entry was posted in News and politics and tagged Guarantee Israel's security, Not in Russia's interest, Russia Should Not. Bookmark the permalink.